Android Pay has been available in the UK for a few months now but it's rolling out to even more people. From today, customers ofRoyal Bank of Scotland,NatWest,Ulster BankandSantanderare able to make contactless purchases in stores and apps via their Android smartphone once they download theAndroid Pay app. TSB customerswill also soon be able to add their cards to Android Pay, with a rollout planned this month. Android Pay already works with most of the UK's biggest banks, including Bank of Scotland, First Direct, Halifax, HSBC, Lloyds Bank, M&S Bank, MBNA and Nationwide Building Society. We've been using it for quite a while, so here's an updated guide! 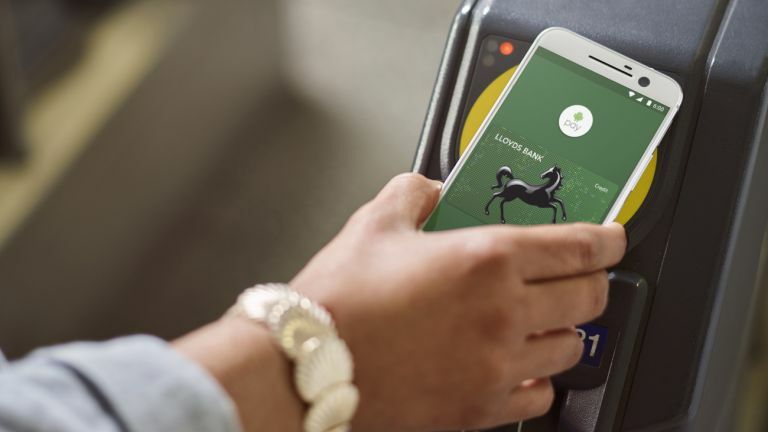 Android Pay works wherever contactless payment is accepted in the UK. That's a lot of places. Go to the Google Play Store and download the . Add your card details by scanning your credit or debit card. Nice and simple. Android Pay is super simple to use, all you have to do is touch your unlocked phone to a payment terminal. There's no need to authorise the payment with a fingerprint scan. You don't even need to quit the app - you can be in the middle of checking Twitter or sending a text, and the payment will send. We didn't think mobile payment could be more simple than Apple Pay, but somehow this is. There's still the £30 limit which is applied to all contactless payments. What phones work with Android Pay? If you think mobile payment is only limited to flagship phones, you're wrong! Android Pay is compatible with every Android phone running KitKat (4.4) and up, as long as it has NFC. Yep, just as secure as any other mobile contactless payment. Android Pay creates a unique virtual number for your transaction, your name and full card details are never shown in the app, never stored on your phone, and never shared with the merchant. As previously mentioned, you phone only needs to be unlocked to make a payment, and unlike Apple Pay, this payment doesn't have to be authorised by a fingerprint. Does that make it slightly more open to abuse? Perhaps. But we think the rewards greatly outweigh the risks.